ENGINE: 2.0 TDI DIESEL CODE: BLB. MODEL: A6 C6. MAKE: AUDI. COLOUR: BLUE GRAY CODE : LZ7R. ALWAYS COMPARE PART NUMBER. GEARBOX: MANUAL CODE: GYX. THAT IS CORRECT PART FOR YOUR CAR! ON THEM IN FORM OF SCRATCHES. MOST ELECTRONIC COMPONENTS REQUIRE PROGRAMMING OR ADAPTION. Part number: 4F2713041T. Item: Automatic gear selector. Audi A6 C5 Automatic Gear Knob in Black Leather. Removed from an Audi A6 Avant C5 (2003). Please see photos for item condition. Please see my other Audi A6 C5 items for sale. (Audi A6 2.0 Tdi. Colour / Code: Silver / LY7H. We try our best to make sure that you receive the item as you have expected it to be. In such a case. FIRST TO SEE IF YOU ARE HAPPY TO RECEIVE IN SUCH CONDITION). Isle of Wight. Isle of Man. PARK FARM INDUSTRIAL ESTATE. NEWTON CLOSE. 15 ENTERPRISE COURT. DEPENDING ON THE SIZE AND WEIGHT. I reserve the right to send the parts that are not always in the picture. Will ask for proof/invoice of work done by specialist in cases of claims. Donor Car: 2006 Audi A6 C6 Avant 2000cc. The New and Used Audi Parts Specialist for all Audi models worldwide. Audi Part Number: Unknown. It may fit others. 2015 Audi A6 2014 On Black Edition TDI Ultra 190 2.0 7 Speed DSG Diesel 5 Door Estate Gear Lever 4G2713041AM All of our mechanical and electrical parts come with a 3 month warranty as standard, this covers the part itself but does not cover any labour charges incurred from fitment or removal of the item. (Terms and Conditions Apply). For extra peace of mind, extended warranties are available upon request at an additional charge. For more information please message us. Please be aware that all our items are removed from right hand drive vehicles unless otherwise stated. If you are unsure if this item will fit your vehicle or if you have any other questions then please call our parts department who will be happy to help. If you have any problems at all then please message us through eBay and we will happily help to resolve any issues. WEAR MARKS. FEW LITTLE HOLES. PLASTIC FITTING BROKEN. • We take pictures of every single item, so you can see its exact condition. • All our parts are marked and will be inspected once received. Full working order(tested) removed from 2010 AUDI A6 C6 2.0TDI S Line. CARRIAGE PRICE SHOWN IS FOR UK ONLY. Item is used so expect the odd wear mark. Audi A6 C5 Automatic Gear shifter 480 713 041S. Donor Car: 1999 Audi A6 C5 Saloon 1800cc. Audi A6 C5 5 Speed Auto Gear Selector Trim. The New and Used Audi Parts Specialist for all Audi models worldwide. Audi Part Number: 4B0 713 111 AL. Donor Car Colour: Bodywork is Red LZ3L. 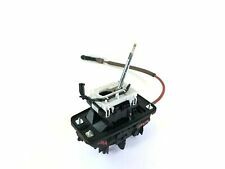 Genuine 6-SPEED MANUAL GEAR SELECTOR WITH LINKAGE 4F0711406A. 2007 AUDI A6 C6 SE 2.0 Tdi. Model: 2007 A6 C6 SE 2.0 Tdi. Transmission: manual. Drive side: right-hand drive. Cash only if collected in person! This item was removed from a Audi A6 in good condition with no broken Brackets in fully working order genuine. AUDI A6 3.0 TDI S-LINE 2007 AVANT. AUTO GEAR SELECTOR. (WILL FIT AUDI A6 2005-2008). We also specialize in used car parts that have already been removed and shelved. 30 Warranty on all parts. Part number - 4G2713139S. Defects - Scuffed gaiter,knob has few dirty signs.Suitable for RHD. Model - A6 (4G2, C7, 4GC). Year of Manufacture - 2012. Audi A7 4 G C7 2011 > 2014. Audi A6 4 G C7 2011 > 2014. Shift knob / shift lever. 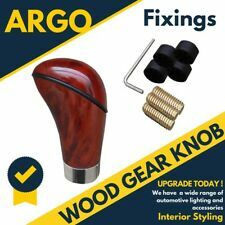 Part number, whether the shift knob suitable to your vehicle is.". Audi exclusive Leather. Accident-free VW / Audi vehicles. AUTOMATIC SPORTS GEARKNOB. 4F2713141N URU. IN SOUL BLACK LEATHER TRIM- URU. A3 2004-08 MODEL YEARS (8P) WITH PR NUMBERS 1ML, 1XZ, 2FQ, 2PU 7F9. A6 C6 2005-08 MODEL YEARS (4F)WITH PR NUMBERS 1ML, 2FQ, 2PU 7F9. For parts or not working?. or job lot?. Isle of Wight. Isle of Man. Will ask for proof/invoice of work done by specialist in cases of claims. DEPENDING ON THE SIZE AND WEIGHT. I reserve the right to send the parts that are not always in the picture. Part number: 4F2713463B. A complete and genuine 2005 Audi A6 C6 4 door saloon 3.0TDI BMK automatic diesel gear selector with linkage as pictured. Engine : 3.0TDI BMK. This item has been removed from a: 2005 AUDI A6 C6 3.0TDI SALOON. The Audi A6 C6 S LINE for sale here is from a Audi A6. The Item is used but in working Condition. 4F0 864 260 A. Most Audi A4 B6 B7 2001-08, A6 C6 2004-11 parts available. I am currently away until 10th of October. All parts will be dispatched after 10th of October. Facelift 2015-2018. Part Number: 4G1 713 139 AQ. Audi A6 4G / A7 4G. 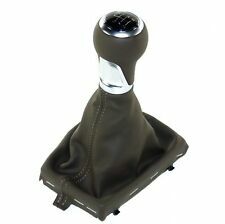 Shift knob automatic leather black / soul. 2006 AUDI A6 C6 2.0 TDI 6 SPEED GEAR STICK SELECTOR. ITEM IS USED BUT IN FULL WORKING ORDER. REMOVED FROM 2006 AUDI A6 C6 SALOON 3.2FSI AUK QUATTRO AUTO HCC/HLK WITH ONLY 75k MILES. OUR AIM IS TO MAKE SURE YOU ARE ALWAYS 100% HAPPY! IN GOOD, WORKING CONDITION AS SHOWN IN THE PICTURES ABOVE. Audi A6 C6 Automatic Gear Selector. Donor Car: 2006 Audi S6 C6 Avant 5200cc Quattro Sport. The New and Used Audi Parts Specialist for all Audi models worldwide. Audi Part Number: 4F2 713 041 AA. It may fit others. $AUDI A6 C6 AUTOMATIC GEAR SELECTOR DISPLAY TRIM 4F2713463D AUDI A6 C6 AUTOMATIC GEAR SELECTOR DISPLAY TRIM PART NUMBER - 4F2713463D An item that has been previously used. The item may have some signs of cosmetic wear, but is fully operational and functions as intended. Please note eBay's Compatibility Checker does not take into account model specific parts and only generalises correct fitments. Please use Part Numbers that we providing for compatibility.WE SUPPLY GENUINE USED AUDI PARTSWe maintain a clean and safe environment and are fully licensed and regulated by the Environment Agency. Audi parts available off the shelf, and because they are all genuine parts, quality and correct fitment is always guaranteed. ● Audi A7 Sportback 2015-2019. Good for RHD cars with automatic transmission. ● Audi A6/Avant, Audi A6/S6 quattro 2015-2019. ● Audi A6/Avant, Audi A6/S6/Avant quattro 2015-2019. Audi gear shift for vehicles with automatic transmissions. 2007 AUDI A6 C6 S LINE AVANT 3.0 TDI AUTOMATIC GEAR SHIFT DISPLAY 4F2713463C. Channel Islands. Will ask for proof/invoice of work done by specialist in cases of claims. USED PART so do not expect IDEAL AS NEW. This is a used OEM gray leather gear shifter handle knob with boot assembly off of a 2012 Audi A6 C7 sedan. Model - A6 left hand drive. Donor Car: 2008 Audi A6 C6 Saloon 2700cc. The New and Used Audi Parts Specialist for all Audi models worldwide. Audi Part Number: 4F2 713 139 T. It may fit others. Audi A6 C6 Automatic Gear Selector. Donor Car: 2005 Audi A6 C6 Avant 3200cc Quattro. The New and Used Audi Parts Specialist for all Audi models worldwide. Audi Part Number: 4F2 713 041 P. It may fit others.